I’d never gotten acne scars before even though I’d picked my skin occasionally and popped my pimples and blackheads a lot. When I was 25, I got a few really bad pimples that got so big and stayed for months. I picked and picked at them because I was also depressed and anxious and not in a good state of mind due to outside circumstances. The ones on my forehead blew up into huge craters (see below picture) and a few months later after I saw the damage to my skin and realized it might be permanent since it wasn’t healing so easily like it always had before, I became obsessed with reading and researching acne and the healing process. I found that inflammation interferes with the collagen production process, which is essential to acne and scar healing. My repeated picking and inflamed skin calmed down but there was collagen damage which turned into huge craters in my face right in the middle of my forehead and I was embarrassed to have people look at me, especially since my skin had always been smooth and fine before. I researched and read and bought a ton of products. Below I’ll share my pictures and journey and what has worked for me. It’s a long healing process, and the most important thing is prevention and not to pick which I will give a strategy on below as well. New scars have a better chance of healing than older ones and the time for the healing process usually lasts around 22 months, although older scars can benefit from treatment as well. I started intentionally using products to heal my skin about 10 months after the scars first appeared when I realized my skin was not going to 100% automatically fully heal on its own like it always had in the past. Likely due to the intensity and duration of my picking combined with my age at 25 my skin was no longer as prone to healing and elasticity as it once was, and it was a huge, shameful, desperate wake up call for me. Looking in the mirror or even having pictures taken was painful. I couldn’t take many pictures of myself because I wasn’t sure it would ever heal and that broke my heart. Thinking about it made my self worth plummet. I couldn’t live with the thought I had permanently damaged my body and this did not help combat the anxiety and depression I was already feeling, leading to more picking for months and months unfortunately. However since we can’t go back in time and tell ourselves anything, we can start right now and do our best moving forward. We can use what we know and the best products available today to help heal our skin, we can stop the picking to help our skin heal and not irritate it further, and we can treat our bodies and minds with he care, love and respect they deserve feel peaceful and happy which will shine from the inside out. We can heal, we can stop damaging our bodies, and we can learn from our past and move forward with our lives. We can’t change the past, all we have is complete control of this moment and every future moment, which is more than enough. Although we cannot go back and change any of the past, we can use our control over the present and future to make our life the best it can be starting now. That is how I remind myself not to beat myself up about or worry about or try to change the past because I have no control over that. This helps me to move forward and do the best I can with the present without letting my past mistakes or actions interfere with the future I am capable of creating for myself. In regard to makeup and” covering up” scars, I like to use products that get at the core of the issue, actually healing at the same time they cover up. The Derma E Scar Gel is my favorite for covering the scars while providing hydration and helping the healing process at the same time. Bedtime is the most important part of the healing process since as you sleep your body is hard at work healing and repairing itself. This is where I focus using the healing products. 1. I start by scooping coconut oil out of the jar with my fingers and gently rub it onto the pitted areas. The coconut oil helps exfoliate the skin and give it the moisture it needs to heal. 2. Then I will take some of the MSM cream and place it over the coconut oil areas. 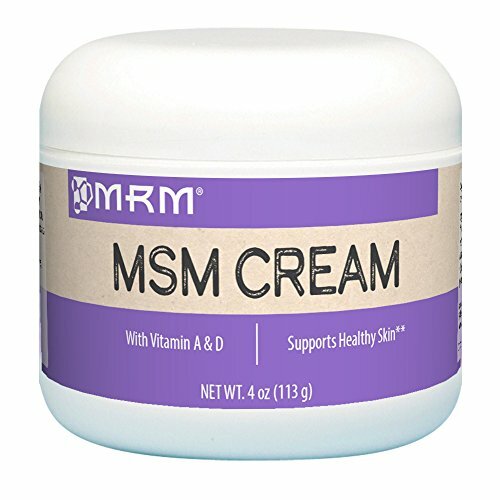 The MSM cream contains sulfur, a natural healing agent that composes .25% of your body weight and that the body naturally uses to produce collagen and repair damaged tissue. The MSM cream keeps the moisture of the coconut oil in place and gives the skin surface extra sulfur to help aid in the repairing of the damaged tissue. 3. 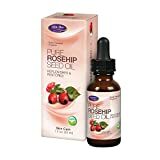 Sometimes I will take some Rosehip oil that contains natural inflammatory fatty acids and the essential skincare vitamins A and C and place a few drops onto the areas of skin that need nourishment. It is very soothing and the moisture and vitamins help repair the damaged skin. 4. 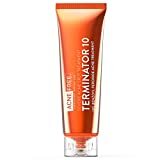 Lastly I apply Benzoyl Peroxide cream at maximum non-prescription allowed strength 10% onto the red current acne and pimple marks. This amazing exfoliating spray I found through Jess Graf’s youtube channel, literally takes off a layer of your skin each time you use it, great for fading marks, scars and evening your skin tone. Exfoliating also exposes your new fresh skin and encourages skin growth and regeneration. 1. I put Rosehip oil onto the acne scars in the morning which provides the vitamins, nourishment and moisture that will soak into the skin without providing too much moisture like the coconut oil. 2. Then I place the Derma E scar gel into any visible pits which locks in the Rosehip oil moisture so your skin can keep healing throughout the day as well as covers the pit so your skin looks healthy and normal in the daylight as you go about your day. 3. 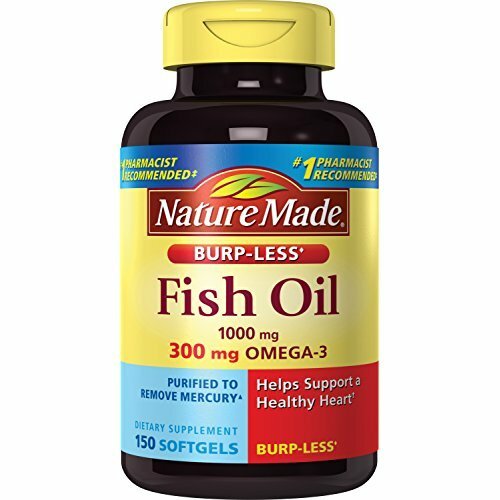 I also take 2 Omega-3 fish oil pills to supply the inside of my body with the fatty acids it needs to help heal my skin from the inside out. You need to provide your body with the best nutrients possible to help it heal from the inside and outside. If it doesn’t have the inner nutrients to heal your skin, no matter what you do topically your body won’t have the nutrients it needs to heal. Methylsulfonylmethane (MSM) is composed of sulfur, oxygen and methyl. Sulfur makes up .25% of our body weight. 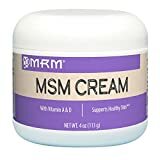 MSM cream helps heal cells by decreasing reactive oxygen and enhancing collagen production which is the most important part of producing healthy skin, hair and nails. The University of Maryland conducted research finding that the sulfur in MSM helps increase the connective tissue in skin. I did a lot of research on collagen and how to increase your body’s ability to heal and repair skin because I desperately wanted to heal my own pitted acne scars. You have to be patient, but I’ve found MSM has been huge in aiding my skin’s repair process. It’s also very inexpensive at around $5 a jar that lasts months. Crazy when you compare that to $50 or $100 jars of expensive skin cream that will not actually aid your skin or help it heal. I’m glad it is so inexpensive, since if I had researched it and tried it at $50/jar I would probably still be using it at that price since it has been so effective. Nothing is a “miracle cure” for acne or pimple scars, but this is one of the natural ingredients already found in your body to help produce collagen that you can use to aid your skin in the healing process. 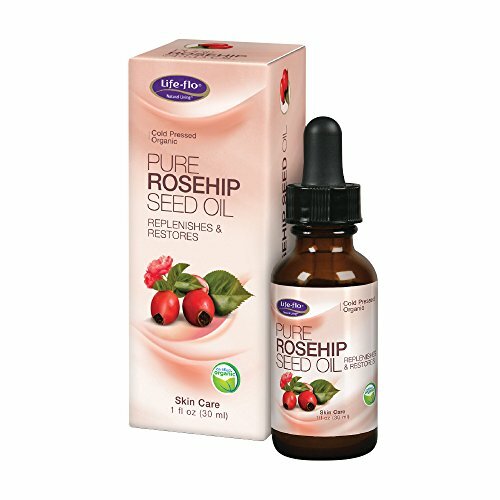 Rosehip oil is made from the seeds of rosebushes and contains Omega 3, Omega 6, Vitamin A, Vitamin C, and Linolenic acid. Its vitamins and fatty acids have been shown to reduce hyperpigmentation, inflammation and redness, which is why it is able to aid the skin in helping it heal pimple and acne marks. AWS.InvalidParameterValue: B0000C37DZ is not a valid value for ItemId. Please change this value and retry your request. Derma E scar gel is clinically proven to improve scar texture and appearance as well as smooth the skin. It also helps your skin retain moisture and reduces the appearance of acne scars while it is on the skin while improving and helping your skin heal at the same time. I use the Derma E Scar Gel during the daytime to help improve how my scar looks while I’m out during the day while it is helping to keep moisture in my skin and reduce the scars’ appearance at the same time. 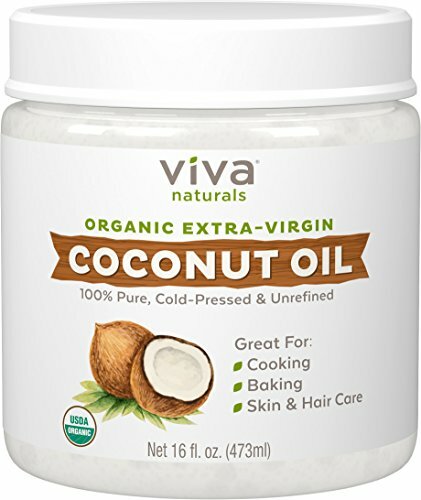 Coconut Oil is a natural, fatty efoliating agent that is incredibly good for your skin and hair when applied topically as well as your body when ingested orally. In addition to being all-natural and not containing the harmful artificial ingredients found in many skincare agents, it is special because it is able to penetrate your skin at a deeper level than most oils due to its low molecular weight and its special ability to bind to proteins. Coconut oil is anti-bacterial and can help get rid of excess bacteria on your skin’s surface while penetrating to give the skin moisture while at the same time exfoliating dead skin cells to rejuvenate acne scar areas and aid in the healing process bringing out your fresh new skin underneath. 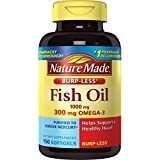 Fish Oil supplements contain the Omega-3 and Omega-6 fatty acids that most people do not get enough of in their daily diet unless they live in a fishing village and eat salmon and other types of fish plentiful with the Omega-3 acids in their daily diet. I know I don’t eat fish often at all, and am lacking in the essential Omega-3 fatty acids that help regulate your body’s oil production and aid in healthy skin, hair and nails. 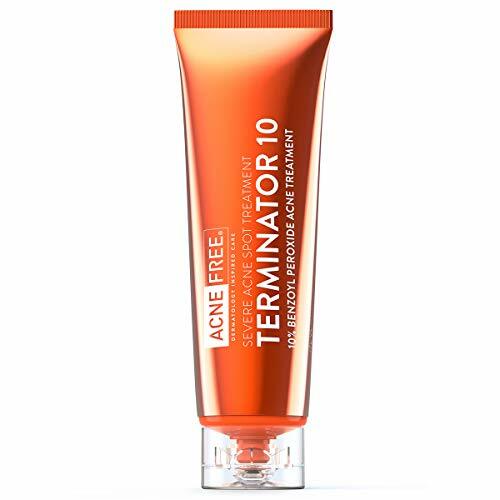 Benzoyl peroxide cream at the maximum non-prescription allowed strength dries out the red acne and pimple marks so they shrink down and disappear and is quite effective in treating current pimples relatively quickly. I usually see the pimples shrink down within a half hour of application and they tend to disappear completely after a day or two of night-time cream use, depending on the size of the blemish. Larger blemishes take longer to fade and heal. Ice cubes are great for the skin and improving your overall complexion as they help increase circulation and blood flow to the area while reducing inflammation and can be effective at speeding the healing process of current acne. It also makes your pores smaller and is like a mini facial with or without acne. I put the ice cube directly on my face and have found that to get the best results however do that at your own risk as the cold may be too much and you could risk ice burn or cold damage to your skin. Studies have shown that not only does exercise help improve the skin’s appearance and health, it is also able to actually reverse the skin’s aging process to some extent. Exercise delivers blood to your skin and improves collagen production which is involved in the formation of new skin. It also improves blood circulation and skin health even helping the skin produce more cells and shed damaged ones. It also eliminates toxins in your body through your sweat which improves not only your skin health, but your overall body’s health. A study at McCaster speculates the effects of exercise on skin regeneration may be due to a substance called myokines in the body, specifically myokine called IL-15 that plays a role in jump-starting cell changes and regeneration. Your mind is incredibly powerful and it is unable to distinguish fantasy from reality which is why visualization techniques and practice are so powerful. It is very important to stop picking your skin, and I’d known that for months but I couldn’t seem to stop, my hands would automatically go to my face when I was bored, stressed or even trying to meditate in the morning it was horrible. The only thing that helped me was using the power of my mind. Say to yourself, ” I am not the kind of person who picks my face” repeatedly throughout the day, do this in the morning, throughout the day, and especially when you start looking too closely at your face or feel an urge to pick. It will become part of your identity and the urge to pick will fall to the wayside without effort since it’s part of who you are now. This is the only thing that was able to stop me from compulsively picking my skin and after a week of not picking you’ll start to notice softer, healthier skin as your body is able to heal without your interference.